When I was asked by Hpnotiq to write about what my Ultimate girls night out would be I immediately jumped onboard. As far as full-time mothering goes, it's rare to ever have a minute to yourself but that isn't to say I can't live vicariously through my blog, right? Right? Hpnotiq is hosting the ultimate VIP weekend in Vegas for one lucky winner and three friends! When it comes to contests and giveaways, it just doesn't get better than this. Enter the Live Louder Dance off for your chance to win. Simply upload a video Hpnotiq LLDO - Likeable - Video Upload or photo Hpnotiq LLDO - Likeable - Photo Upload of your best (or worst) dance moves. Contest ends July 23rd so get moving (pun intended). So onto MY ultimate girls night out. I'm not too fussed with the location, sure Vegas would be nice, but the simple fact of getting out of the house is fantastic enough for me. For the sake of this little exercise let's say I base my girls night out in my nearest big city, Nashville. 2:00pm Husband comes home to babysit the kids. A cleaning service team shows up ready to set my house in order while I'm out. A personal chef also arrives to stock my freezer full of healthy gourmet meals. 2:15pm A chauffeured limo stocked with cupcakes, macarons and bubblies arrive to whisk my other mommy friends and me to The Hermitage Hotel for some much needed pampering and relaxing. 3:00pm Check into room only to find out it's been miraculously upgraded to a penthouse suite free of charge. A three-tiered array of afternoon tea delights awaits our arrival. 3:15pm Dressed down in our robes, we are greeted by the hotel spa team ready to pamper us with in room manipedis, massages, and facials. 5:00pm Feeling refreshed, we dress for our next destination. I'm wearing a Bradshaw inspired puffy skirt, Topshop bralet, Rag & Bone Blazer with Charlotte Olympia sandals and Lanvin box clutch. 5:30pm Arrive at Nordstrom for a little shopping spree where our husbands have kindly given us $1000 each in gift certificates (so we don't feel bad about using real money, genius!). 8:00pm Dinner at the fabulous Catbird Seat restaurant. The manager is besotted by our charm and grace so drinks on the house all night. 11:00pm The night is still young so we head to Aerial rooftop bar to dance the night away. 3:00am Eventually arrive back at the hotel and stumble into bed for a night of uninterrupted sleep. Did I mention the word uninterrupted? 11:00am Wake up to a delightful breakfast buffet set up right in our room. Our doting husband and kids arrive to drive us back home to reality. Side note: If this were a fantasy girl's night out, we'd also be extras in the sequel of Magic Mike, our shopping spree would take place after hours so we could live out our Mallrats fantasies, our $1000 budget becomes $5000 courtesy of someone other than our husband, and of course Ryan Gosling is our chauffeur/masseuse/personal butler for the night. And all this takes place somewhere fabulous like Tokyo, Vegas or Istanbu. The Hpnotiq Live Louder Dance Off contest ends July 23rd. Good luck! Thank you again to Hpnotiq for sponsoring this blog post! I was selected for this sponsorship by the Clever Girls Collective. All opinions are my own. this made me giggle so hard jen! LOL WOOOO!!! RYAN GOSLING BABY!! Love the get away itenerary Jen! All that you note down is every full time mom's dream as an unwinding moment. Just for one day of luxurious living before coming again to the real world. Love this post and your collage makes me drooool. I'm in ! Love it all especially Ryan Gosling - ultimate eye candy ! Sign me up! That outfit is killer too! Can I just say that you have the best girls nite out ever? You had me at the stretch mini-cooper and macarons! Would be a great night! Hahahaha love this post!!! So true!!!!! 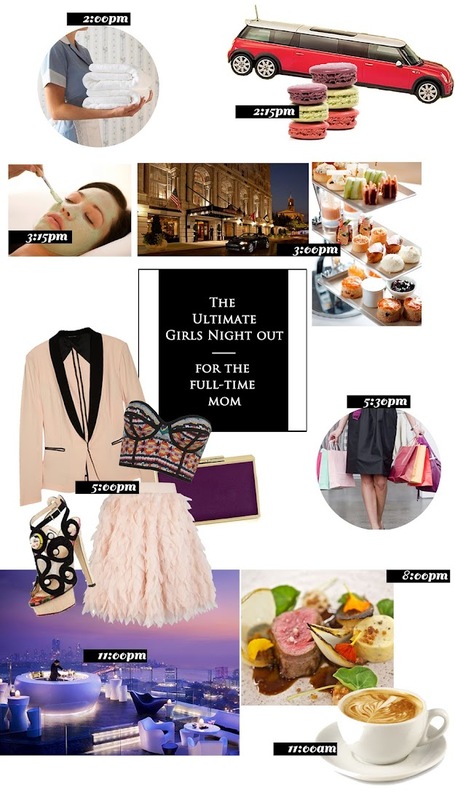 This is the perfect itinerary for a girls night out! LOL!! OMG this would definetely be A PERFECT NIGHT!!!! Haha such a funny post ! Love it !!! 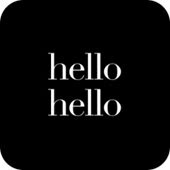 You really have a nice blog and style girl ! BlueHost is ultimately one of the best web-hosting provider for any hosting services you might require.